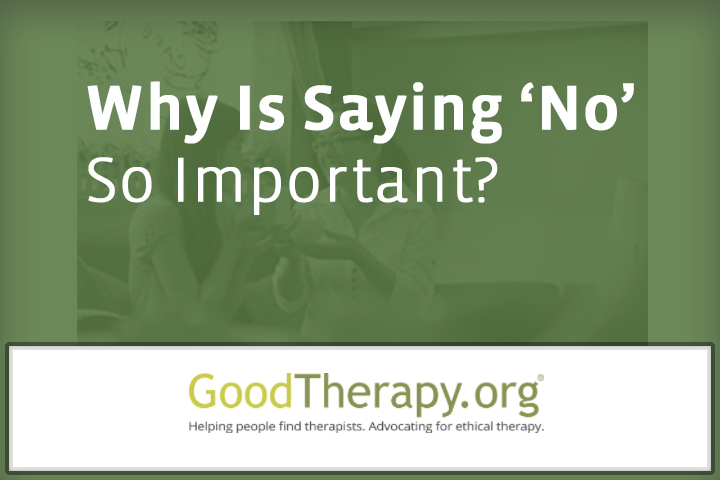 Why Is Saying No So Important ? Do you find yourself saying “yes” to people only to regret it moments later? Do you tend to put others’ needs before your own? Accommodate. We say yes when we really want to say no. This brings us a temporary, false sense of peace, later be replaced with apprehension and resentment. We defer to the relationship with no regard for our power and ironically end up undermining the relationship in the long run. Attack. We often do this with those we love the most, the ones we take for granted. We say “no” aggressively, stepping strongly into our power, but with no regard or attention to the connection with the other person. Avoid. We don’t prioritize our personal power OR the relationship; in other words, everybody loses. We dishonor ourselves and amp up our own discomfort by leaving something unresolved and disrespect the other person by not providing them with an answer. It’s important to be able to say no so you feel empowered while still maintaining your relationships with others. Saying no helps you establish healthy boundaries and enables others to have clarity about what they can expect from you. Some people question what to do when they don’t have an immediate answer to an inquiry. It’s okay to take a little time to think about your response. To keep yourself from avoiding altogether, provide a deadline by which you need to decide what your answer will be. Tell the other person something like, “I need to give your request some thought. I will let you know by noon Friday.” This deadline keeps you accountable and ensures that you honor both the relationship and yourself by providing a concrete reply in a reasonable time frame. Being able to say no may enable you to be more honest and authentic with others. You may be less likely to feel taken advantage of, and people may learn to come to you for the things to which you are more inclined to say yes. A helpful strategy that can enable you to say no with greater ease is to gain clarity around the kinds of things to which you want to say yes. Make a list of your top three priorities (and understand that they may change). Post these priorities where you will see them all the time: your bathroom mirror, your nightstand, your laptop, your car’s dashboard. When someone asks something of you, check to see if it will serve any of the things you declared you wanted to put your time and energy toward. If the answer is yes, feel free to answer the inquiry affirmatively. If it is not in line with your objectives, say no. Be clear, confident, consistent, and concise. It’s not necessary to offer a lot of information to explain your reasoning (in fact, sometimes it can invite challenges to your “no”). However, you can say something about the kinds of things you are willing to do, or the time frame in which you might be in a better position to say yes. Doing so lets others know you are acknowledging the request, and demonstrates respect for the person who asked. Communicating to others that they’ve been heard can go a long way toward strengthening a relationship, even when you say no. Another helpful strategy suggested by Ury is to have an “anchor phrase.” Examples might be “I have a policy …” or “I’d rather say no to you now rather than disappoint you later” or “I only volunteer in connection with a particular cause.” Once you have your anchor phrase, you can practice it. As a result of being proactive and prepared, you may be able to say no more confidently so you can say yes to things that are truly important to you. Being able to say no may enable you to be more honest and authentic with others. You may be less likely to feel taken advantage of, and people may learn to come to you for the things to which you are more inclined to say yes. People may learn to respect your yes rather than take it for granted, you may find that your resources are allocated more appropriately, and your connection to, and communication with, others may be healthier as well. Ury, W. (2007). The Power of a Positive No: Save the Deal, Save the Relationship—and Still Say No. New York, NY: Bantam Dell. No Replies to "Why Is Saying No So Important ?"